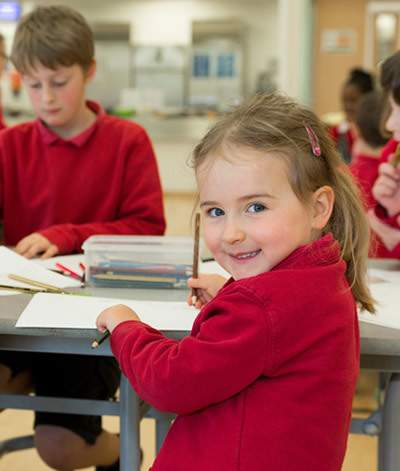 At Sea MIill Primary School and Children’s Centre we recognise that attending school regularly and on time has a positive impact on learning, progress and therefore the best life chances for our students. Excellent attendance and punctuality is the key for our student’s success. Therefore, we must ensure that attendance and punctuality are the highest they possibly can be in order to prepare our students for their future adult life. In line with the Government and Local Authority Guidelines, we expect all our students to maintain an attendance level of 96% and above. It is the responsibility of everyone in our school community – parents, staff, students and governors to ensure they achieve this. Therefore, we monitor and review the attendance of all our students constantly. We encourage excellent attendance and punctuality for all students, by offering an environment in which our students feel valued and part of the school community. Logically if students are not in school, they are not learning and thereby allowing their potential grades to suffer. What might seem insignificant as they lounge on the sofa on a day off school is that if they are not genuinely ill they should be in school and working their hardest towards achieving their best, no matter what year group they are in. The process of education is life long and we build on what we already know and therefore, if they skip school they are damaging their future. Each year there are 190 school days which leaves 175 days for holidays, shopping, birthday treats and non-urgent medical and dental appointments. Therefore the school is very unlikely to authorise absence for these reasons. As mentioned earlier our School Attendance Target is 96% or above, therefore, if your son/daughter attends for at least 96% of one school year they will have had less than 10 days absence. Sea Mills Primary School follows the same term dates as Bristol City Council. You can find these dates on our website. A written request for permission for absence, in the case of significant need, can be sent to the Headteacher throughout the year. Medical appointments should be made for holiday time wherever possible. Pupils need to be in school by 8.45am Lateness can cause distress and upset to pupils and essential learning takes place at the start of each day. Attendance and lateness is monitored on a daily basis and where concern is evident a member of the Senior Leadership Team will be in contact with you to see if additional support is needed. Schools are now prohibited from authorising any leave in term time; unless there are exceptional circumstances. Have you requested exceptional circumstances leave before? Can this this leave be taken at another time? When holiday is taken and the school has not authorised the absence, the school may request that the Local authority issues a Penalty Notice – more information is available from school office. The school may issue a Penalty Notice to a parent in one or more of the following circumstances where more than 8 sessions of absence are recorded in 10 school weeks. There are 2 sessions per day, one in the morning and one in the afternoon.